I can’t decide how Kool-Aid Comes of Age was put together. On one hand I think they started with very simple ideas for recipes, sticking to the obvious punches and drinks. But maybe those were too obvious. 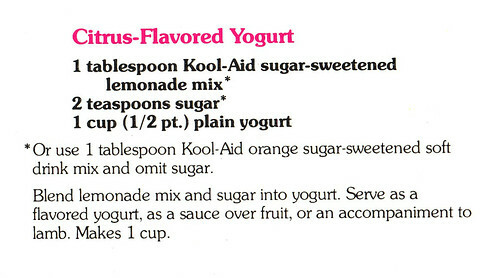 Of course a Kool-Aid cookbook is going to have drink recipes. Maybe they just went full-on adventurous, dreaming grand dreams like brave culinary visionaries, and started with the pies and the desserts and the main courses. Either way, at some point they realized they needed some recipes to pad out the book. Their deadline was looming, and their editor was getting antsy, so they needed something quick and simple. Ya got anymore punch ideas? frozen the stuff every way we could think of? Yeah, we did…damn. What about pies? Sour Pork idea. What are we gonna do? What if we just mix it in with something? Just by itself. Like two ingredients. Barry Manilow’s “I Write the Songs” wafts in from the open door. Whatcha got for lunch today?! up on sale at the A&P! I got some plain yogurt. Alice and Deb look at other. Deb looks around the kitchen. There is some spilled Kool-Aid powder near one of the sinks. Cut to two weeks later and we have a proof copy of the book circulating around the Kool-Aid offices, and people are stopping by to congratulate Alice and Deb. A few weeks later the book is published and every 70s housewife finds herself deciding between Whipped Lemon Butter, Double Berry Sauce, or Citrus-Flavored Yogurt for her next party. I’m in talks to reunite Lori Petty and Geena Davis for the roles of Alice and Deb. 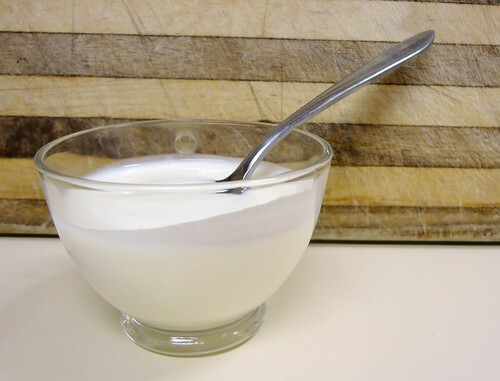 Citrus-flavored yogurt is one of our final recipes in the Stir-ins and Pour-ons section. It’s not terrible but it’s not great. 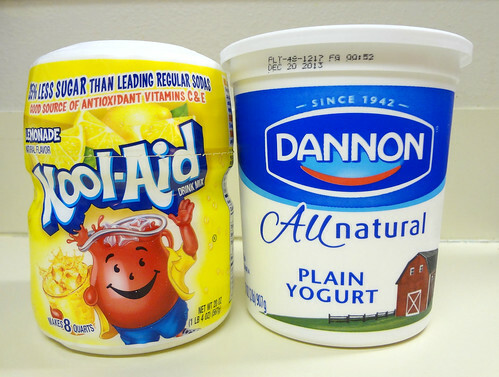 The flavor progression starts out with the tangy yogurt which gives way to a little sweetness, then to a splash of lemon flavor not unlike a regular store bought flavored yogurt, then finally to wave of Kool-Aid Lemonade flavor. The final lemonade flavor is a little weird in that it stands quite independently from the other flavors. It is a pushy reminder that here there be Kool-Aid. Unlike Alice and Deb the chemistry between the two main ingredients never quite comes together. But again, it’s not terrible. 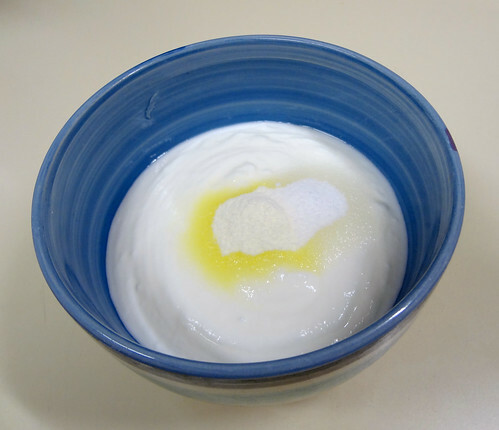 Also, I was fresh out of fruit and lamb at the time of this writing, so I only tried the yogurt by itself. Even though the idea of lamb and Kool-Aid coming together at last boggles the mind. I may have to revisit that. Until then, look for my crowd-funded film adaptation of the book entitled Eat, Pray, Kool-Aid, coming soon to a theater near you.